Don't just invest on the child, also invest in the child. 'Investment on' gives outer prosperity. 'Investment in' ensures inner unfoldment and lasting prosperity. True education is 'investment on' the child complemented with 'investment in' the child. Modern education produces capable, intelligent, smart and efficient individuals, whereas the ancient Indian education system nurtured a holistic vision and created an ennobling attitude, which made a discernible difference in society. 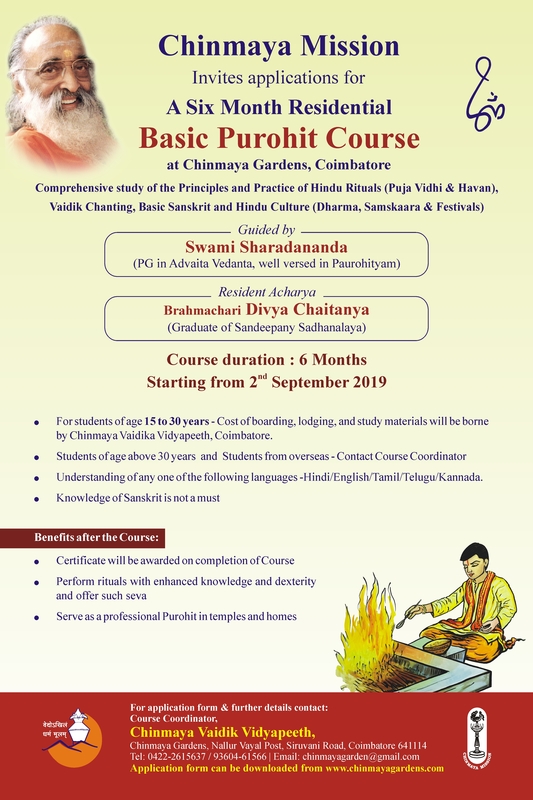 In ancient India, the students studied both secular and spiritual knowledge which were never divided into watertight compartments, as we see today. 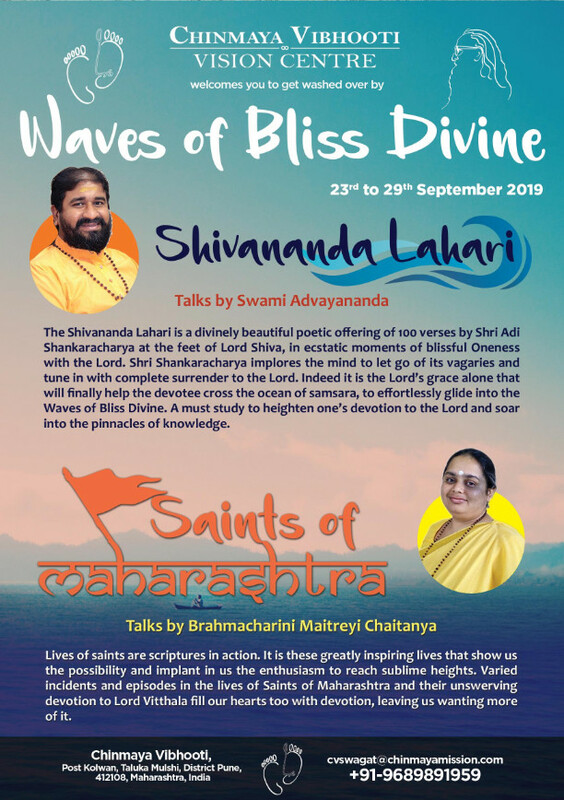 The spiritual scriptures of India covered an array of subjects like geography, history, sociology, geology, astronomy, geometry, astrology and so on. Scriptures on non-spiritual subjects like medicine, the art of warfare, economics, politics, architecture, and performing arts, elaborated upon ethical values. Women were given equal rights in education and teaching. Students would reside together as equals, irrespective of their economic or social standing. This paved the way for mutual camaraderie and respect. Swami Chinmayananda sought to complement the positive aspects of modern education with ancient wisdom. He made a bold attempt to create a system of education that integrates the best of both. He knew that children were ‘the very cream of our generation and they are the rulers and makers of tomorrow.’ Since the future of the nation and the protection of its culture and tradition depended on the younger generation, it was imperative to give them a healthy physical and mental atmosphere for growth and ingrain in them love for all living beings, patriotism and pride in one’s heritage. The ‘Chinmaya’ experience of education started off as an ‘experiment in education,’ matured into the ‘Chinmaya Vision of Education’ and concretised as the ‘Chinmaya Education Movement.’ The Movement is one of Chinmaya Mission's most valuable contributions to society. 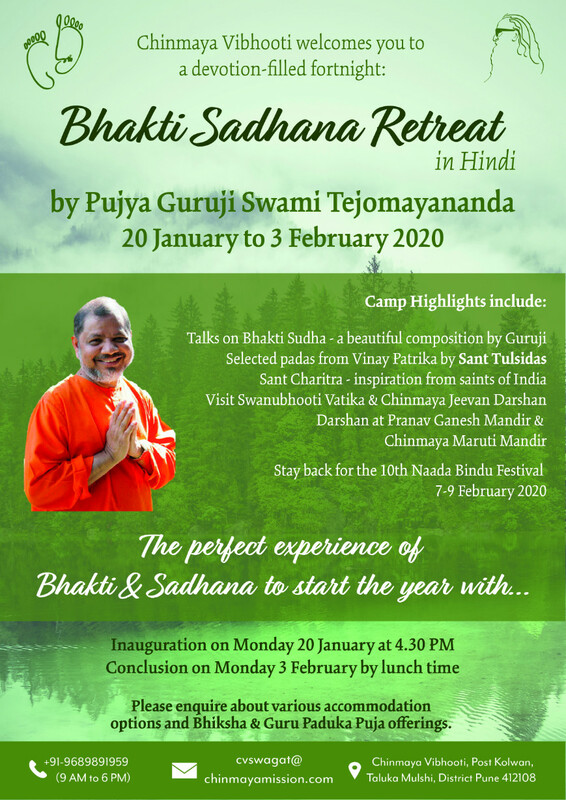 From its humble beginnings on May 20, 1965, in Kollengode, Kerala (India), it now encompasses over 88 Chinmaya Schools and Colleges, the Chinmaya International Residential School (CIRS) in India, and the first Chinmaya Vidyalaya outside India's borders, in Trinidad (West Indies). 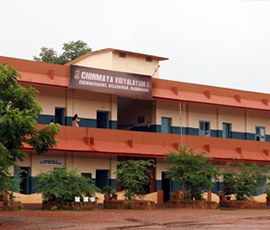 Nearing 50 years of establishment, growth, and expansion, the Chinmaya Mission's academic institutions in India, administered by the CCMT (Central Chinmaya Mission Trust) Education Cell have seen over one million students walk through their halls and graduate through their doors. In the year 2012, there were over 85,000 students enrolled, over 5,000 dedicated faculty members, and over 1,000 administrative staff members. 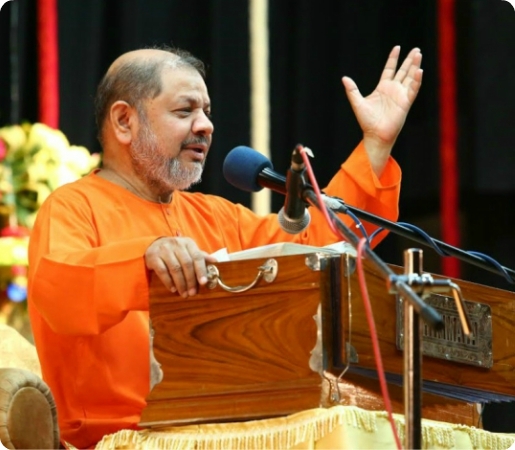 The resounding success of the Chinmaya Education Movement has been primarily due to its unique vision of offering academic education complemented with spiritual knowledge. 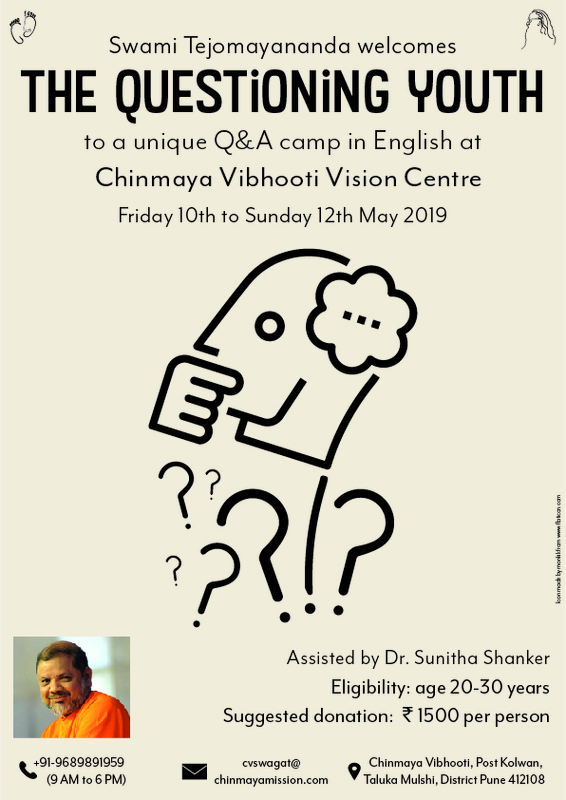 This has been made possible through the distinctive foundation programme of learning - the Chinmaya Vision Programme (CVP) -which was formulated, developed, and implemented by the CCMT Education Cell. 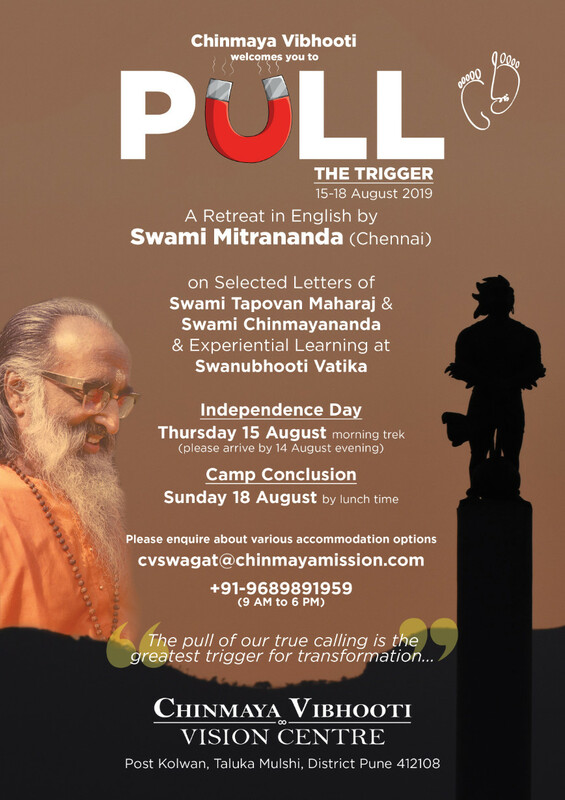 The CCMT Education Cell (CCMTEC) is the governing body of the Chinmaya Education Movement, and is headquartered at Chinmaya Gardens in Coimbatore, India. 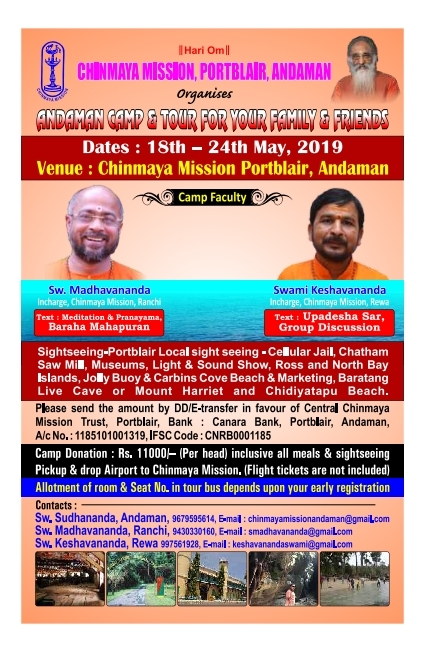 Swami Tejomayananda, as the Head of Chinmaya Mission, is Chairman of the Education Cell. The overall management is handled by the Administrator-Education, guided by Swamini Vimalananda. 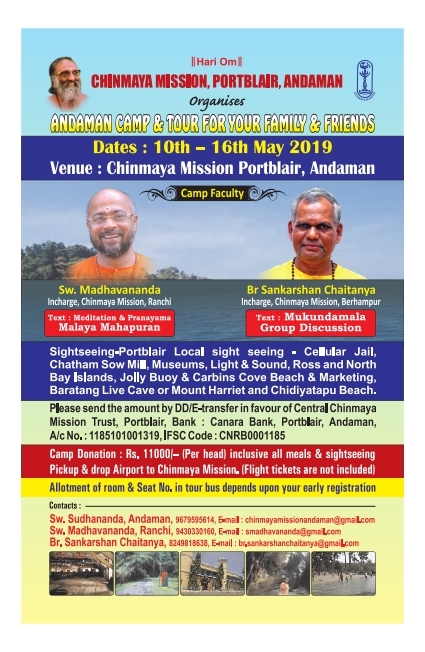 The other members are a competent, committed group from across the country, including Acharyas and Mission members, from the academic and corporate world. • Common Policy: Formulates policies on common concerns, and for specific cases, gives instructions and guidance to all the institutions. It collates information and dispenses it to concerned parties, grants permission for starting new schools, and makes decisions on management issues. Provide critical assessment and guidance. Evaluate the standards, progress and potential. Identify the weakest link and suggest ways of strengthening it. Evaluate the position of the institution with respect to others. 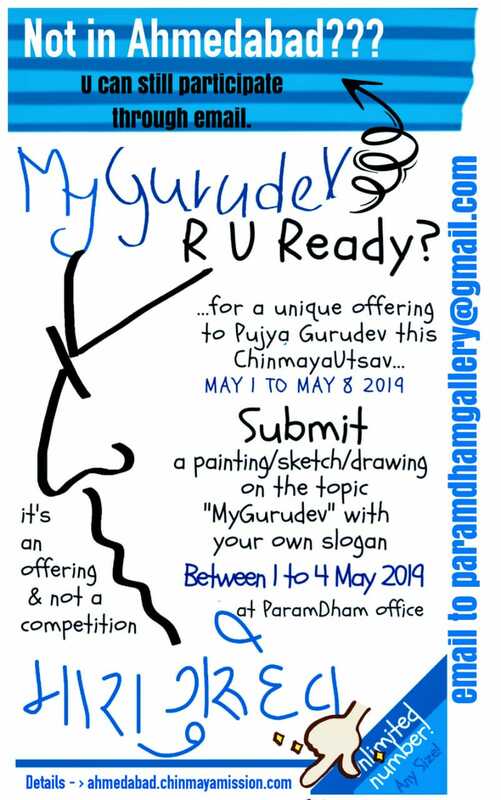 Communicate the Chinmaya Vision Programme to all. Inspire all, so that they work with dedication and enthusiasm. Train all, so that they are knowledgeable and efficient in what they do. • Awards: Recognises and encourages excellence in management, principals, staff, and students through awards. The awards encourage them to maintain and further their good work and inspire them to become role models. 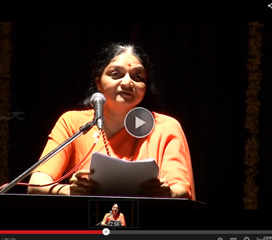 The Chinmaya Vision Award is for the Vidyalayas that best implement CVP; The Chinmaya Gaurav Award, – meaning the pride of Chinmaya Institutions – is to recognise and honour students, teachers, and principals for successfully representing the school in academic, sports and cultural activities. This award is given to state-level, national and international achievers. Started in 2001 and presented by Swami Tejomayananda, the awards are a means to recognize schools, individuals, and their families, and encourage more stars to shine in the national and international space. • Academics: State and National ranks 1st to 10th. • Sports: National 1st, 2nd or 3rd in competitions of CBSE or Government, or have represented the country internationally in a prestigious competition. • Cultural: 1st or 2nd in any prestigious National or International competition in the fields of art, performing arts, literature and the like. • Teachers/Principals: on having received an award from CBSE/HRD Ministry, Government of India. A model student, Parvathy S., Chinmaya Gaurav Awardee in 2011, CV Thrissur, received the ‘Gems of Seed Award’ for her tireless enthusiasm, dedication, and hard work in planting hundreds of saplings on the grounds of an engineering college close to her Vidyalaya in Thrissur. She also made and distributed hundreds of paper bags made from waste paper. She won the National Talent Search Examination Scholarship in 2010 and has won the Balashree Award for her creative scientific innovation. 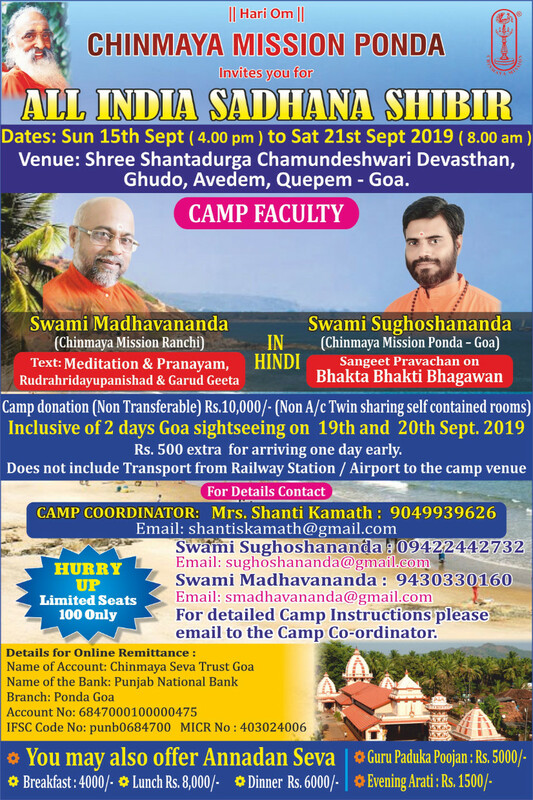 • Student Meets/Camps: Forges a close Chinmaya family bond through organising camps and All Chinmaya Vidyalaya events. The Education Cell creates opportunities for at least some of the 80,000 students studying in the Vidyalayas to come together, not just virtually (on Social Media), but actually in camps. Such camps provide learning with fun and fun with learning. 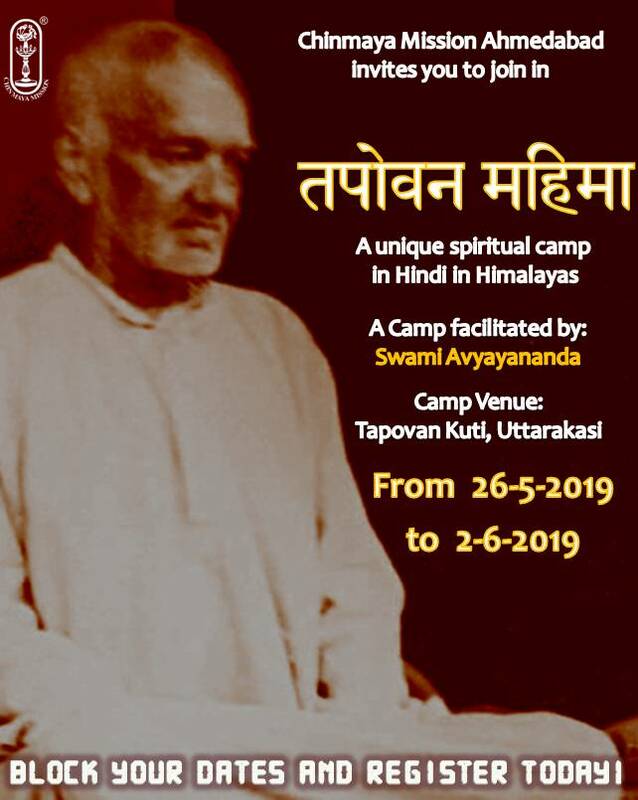 Since 2005, the Education Cell organises annual summer adventure camps at Chinmaya Gardens, or in the Himalayas to foster integrated development of body, mind and spirit, equipping children to face challenges in life. Professionals (ex-army officers and mountaineers) guide students in air, water, and ground sports, and in team games and adventure courses. 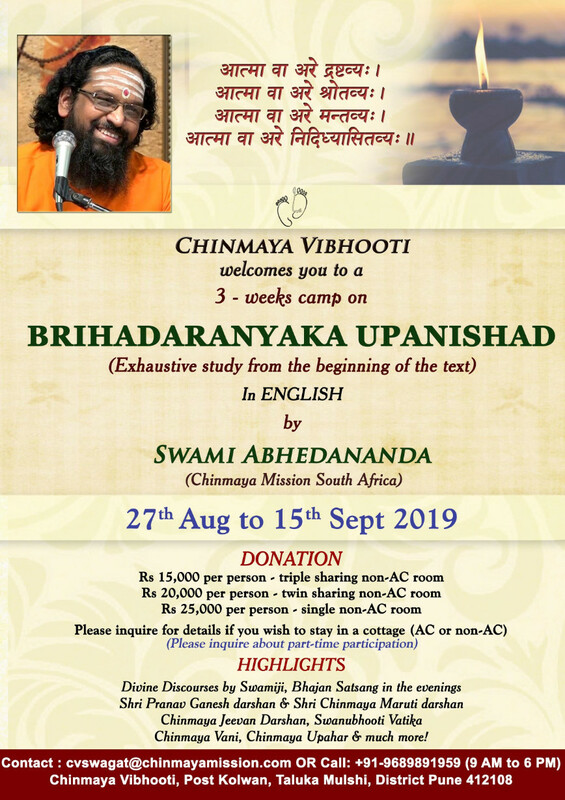 • Unifying Link: Unites all as one whole, and integrates all the institutions with the Chinmaya Mission. 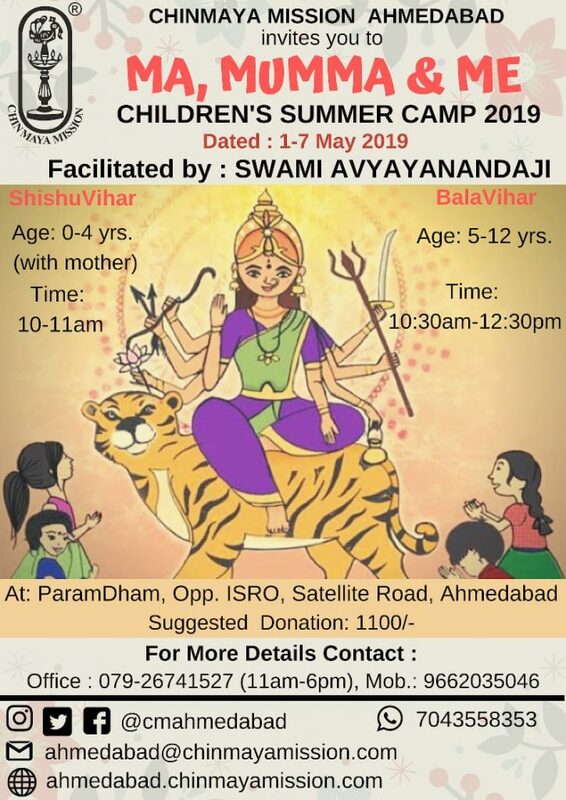 It forges effective communication, interaction, and resource sharing among all the institutions under its umbrella, thereby fostering a stronger, cohesive Chinmaya Family spirit.